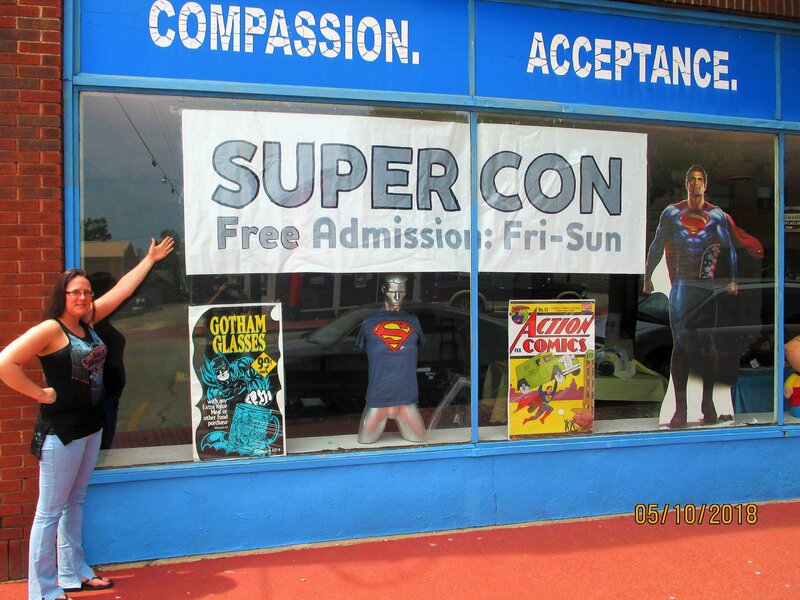 FREE ADMISSION – June 7-9 at 715 Market Street in Metropolis, IL during the 41st annual Superman Celebration. 50 vendor tables selling all kinds of Superhero and other stuff, including comic books, vintage toys, clothes, art, artwork, Star Wars collectibles, action figures and dolls, movie and TV memorabilia, autographs, horror and sci-fi collectibles and homemade masks and props, and much more!! … Hours are Friday 10 to 6, Saturday 9 to 7 and Sunday 10 to 2. Please visit our facebook page at www.facebook.com/metropolissupercon/ and our website at https://www.metropolissupercon.com or https://www.supercon.us … for more info, email treestewart@hotmail.com.